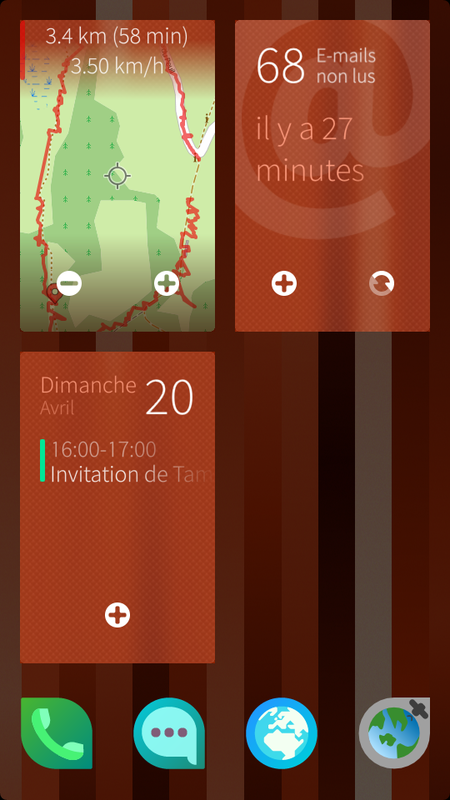 A map viewer for Jolla Sailfish OS. It is intended to be light-weight and fast. 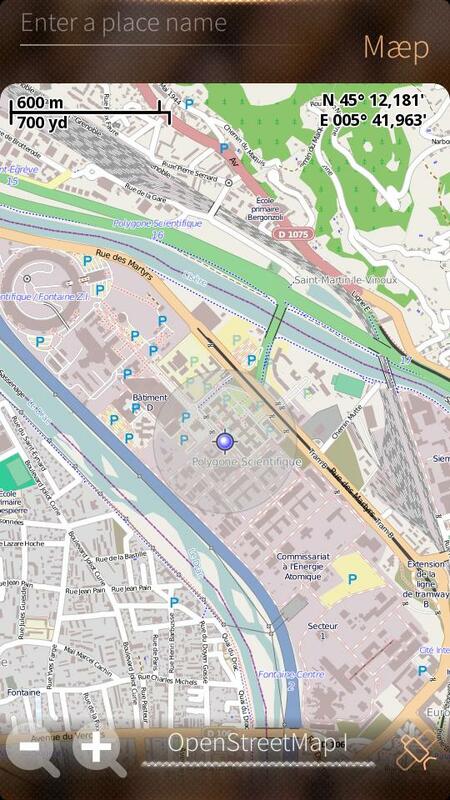 It is used to browse tiled maps from different sources including Open Street Map, Google Maps or Virtual Earth. In addition, GPS information are added on the map. It has also capabilities to record and display GPS tracks in XML GPX format. Information from wikipedia on locations can be displayed. There is a search entry for Open Street Map location database. Tiles are cached on disk and can be displayed off-line. - Declare the OpenCycleMap to www.thunderforest.com to obtain an API key. - Correct the long-lasting bug of map jumping position when drag is released. Thanks for the great app! I used it for a hike and it worked perfect. Any plans on implementing offline maps, like OSM scout server's? That would be super welcome! Would it be possible to allow Mæp to import gpx files that contain only waypoints? Currently it says that the file is invalid. Thanks for reporting this. I'll correct this in the coming two weeks and publish a new version. It seems that the app isn't working anymore with the latest sailfish version. When I try to ooen the maep it loads awhile and after that the icon just disappears. Am I the only one facing the problem? Is there any way to solve this? Sorry, didn't update OpenRepos since Mæp is now in Harbour also. Anyway, I've uploaded the latest version from Harbour here also. I just tried your app and wanted to see if I could load different gpx files on my jolla. The first one was in a subfolder. When I tried to direct to the parent directory I couldn't find a way to do this. It seems that I'm stuck in the folder now. Or am I missing a button? There should be a back image on the left of the directory label. I was using Sailfish icons that have been removed since 2.0.0.x. I've uploaded today a version 1.4.3-1 that should package these icons. Tell me if you have any issues with the GPX files. Send me any that are not loading, I'll give a look next week. I've just started using this to track some routes and upload to strava. It appears the timestamp you are using in the file is in the local timezone (Pacific/Auckland for me) rather than UTC. Creation/modification timestamp for element. Date and time in are in Univeral Coordinated Time (UTC), not local time! Conforms to ISO 8601 specification for date/time representation. Fractional seconds are allowed for millisecond timing in tracklogs. You're absolutely right. It's corrected now in Github. I'll push to harbour a new version in the coming days. a very good app! but I can't zoom in as large as I want. My phone crashed in the middle of tracking and I lost three hours of walking on nonmapped trails which I was going to add to OSM. Is the track really stored only in RAM until it's exported to GPX or can I still find the track? I haven't started the app after the crash. Maybe it was my fault for the crash. I tested having Mæp opened for a long time with GPS on (but no tracking), and it always gets killed by the system (in addition to some other apps). It was because of a memory leak in the OSD rendering code. After a while Mæp completly fill up the phone memory and the kernel begins to kill apps at random to regain memory. It's corrected in the 1.3.7-11 version. Oh, that's too bad, indeed. Sorry for the bug I left here and there. Besides, there may be an autosave in /home/nemo/.local/share/maep named track.gpx. Thanks for the hint: I found the autosave. Unfortunately it had only first 500 meters in it :( So there must be another bug as I did check the trace every just before the phone shut down due to some camera bug. I didn't have time to investigate for this bug yet (auto svae not working), but I'll address it soon ! It is now corrected in Github and will be present in the next rpm (1.3.7-12). For robust track logging I would recommend just logging the coordinates by appending lines of text to a plaintext/CSV file - this is mch faster than writing out the GPX structure and also less likely you will get a crash when writing, that might result in corruped data. For extra paranoia, you can write to two plaintext files, so worst case you might corrupt on of them and not the other. 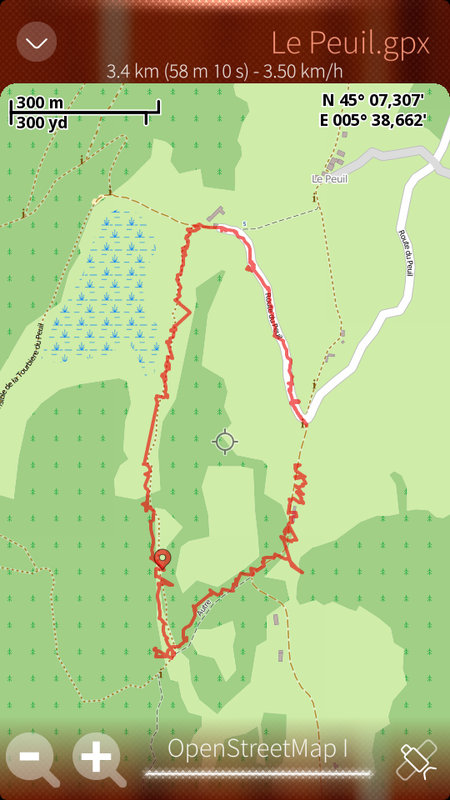 Well, the conversion from memory to GPX was not the issue here. The problem was that tracks were saved to disk only if user asks it, so they are lost if the application crashes. There should have been an autosave function to dump regularly on disk as you suggest but this one was broken :( My fault. It is corrected now, and the user will be able to choose in the settings the autosave period (or none) in minutes between 1 and 15 minutes to dump on disk. I choose not to dump every GPS fix because it seems to me that losing a maximum of 1 minute of GPS acquisition is bearable in comparison to do a disk access every second (GPS fix). If you think it's necessary, I can decrease this autosave period further. Sounds great but on which version has it been corrected? I had a crash again (probably caused by another app), and again the autosave had just the first few minutes. My version is 1.3.7. I'm very interested in the OSM uploading of tracks. That's a very good idea. I'll implement it, thanks for the suggestion. Would it be possible to have basic track information like distance, average speed? I was thinking about the distance statistic, but it cannot be done in a straight forward way. It presents the same issue than the problem of the guy wanting to measure the length of a coast line. Which means that if you walk slowly for instance and the GPS registers position every second, you'll end up with a total distance much greater than the real one because of the lack of precision of the GPS that registers points here and there along the real path. So I think that one need to first "simplify" the GPS track before giving any distance information. By the way, it's very simple to add the registered track length to have an idea before a smarter method can be implemented. For the average speed, I'll give a look. I made some testing by exporting the gpx file in Google Earth, there is very little difference in length between the tracks and the reality - measured with a bicycle computer or by hand in a map. Something like 1 or 2 %, sometimes even less, once the satellite's signal is good. The GPS sensitivity of the Jolla is very good, so I think it's quite usable, even in cities. Oh, great, so I'll implement these stats (distance and average speed) for the tracks. Ok, length and duration of a track have been implemented (2014/03/07), they just lack of a nice UI to be displayed up to now. I will reuse the search drawer I think to display track info and actions on demand. It should be there in the next version (1.3.7-12). Thank you! It works much better than "Here". I used to think "Here" on my old Nokia was the best map app, but on Jolla 3 out of 4 times it puts me several streets away while your app finds my location correctly and fast. Today(18.01) and hitherto - I can not boot map "OpenStreetMap I". Other Maps are loaded properly. Ok, issue corrected in version 1.3.7-9 and hopefully won't reappear again, see the TMO discussion for details. Sorry for the inconvenience.